In an exclusive interview with Pocket-lint, Rovio Mobile has finally confirmed that one of the most popular game on all portable devices is finally coming to Windows Phone 7 too. 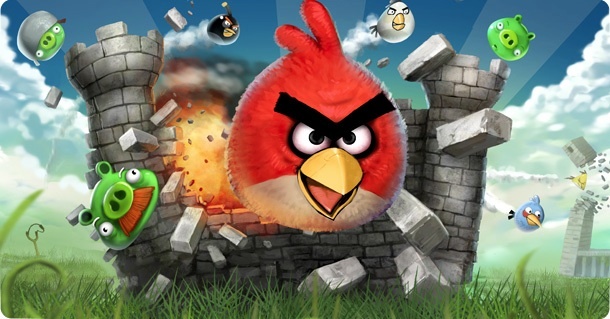 “We’re working on it,” said Rovio’s “Mighty Eagle” Peter Vesterbacka, when we asked him if and when Angry Birds will be available on Windows Phone 7. This comes as a very soothing confirmation for a Mobile OS, which is already being criticized on many fronts (read: including cut-copy-paste updates). Windows Phone 7 is facing a hard time catching upto the levels of acceptance of iPhone or Android. But this confirmation of one of the most popular mobile games of recent years coming to WP7 finally, is something to be excited about if you own a Windows Phone 7. In addition, it has also been confirmed that, the company is working on a 3D version of the award winning game for compatible devices. Happy enough? Upon asking them about what took them so long to bring it to Windows Phone 7, Peter Vesterbacka said: “Let’s just say, Microsoft has a lot of lawyers”, which is a direct indication that Microsoft was holding the strings. As for the launch date, there is no direct indication but there is just one thing to know that it is coming for sure.